Made complete and balanced to individual nutrient requirements. 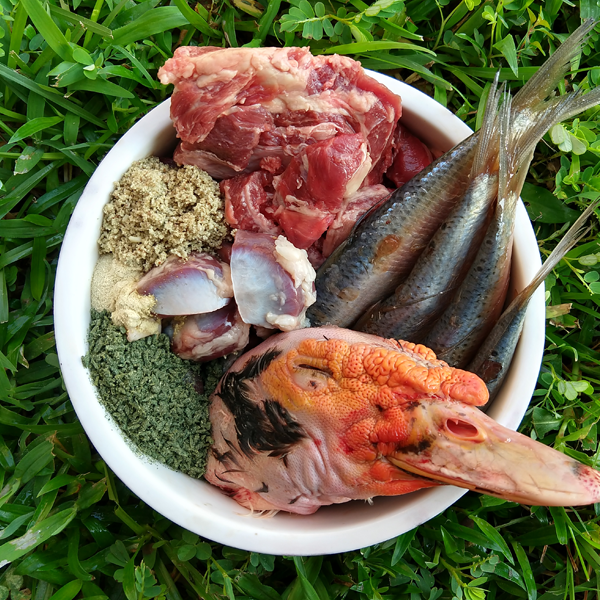 All raw recipes meet Recommended Allowances (RA) for essential nutrients established by the Nutritional Research Council for Dogs and Cats (NRC). 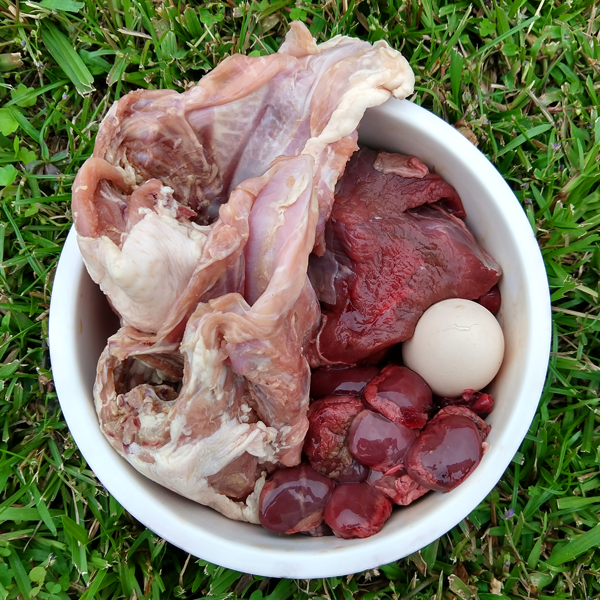 All meal plans are formulated using raw muscle meat, raw meaty bones, liver, and other organs. What’s Included in the Custom Meal Plan? Each custom raw feeding meal plan comes with the necessary information to help prepare a dog’s raw diet at home. Each recipe is created with raw feeding guidelines and is balanced according to NRC requirements for essential nutrients. The option to add a step by step transition guide is ideal for new raw feeders. Each step is created to switch pets from a processed diet onto a complete raw diet. A complete nutritional breakdown is provided with each recipe to demonstrate that calories, macro and micro nutrients are met. A consolidated shopping list is provided with each meal plan. The shopping list outlines the ingredients needed for the transition plan and NRC recipe for one month. A complete nutritional breakdown is provided with each recipe to demonstrate that calories, macro and micro nutrients are being met. Below are answers to popular questions about the custom meal plan service. Are the recipes nutritionally balanced? Yes, recipes following the transition plans are balanced to adhere to NRC guidelines. Is the service a one time fee? Yes, the custom meal plan service is a one time fee. 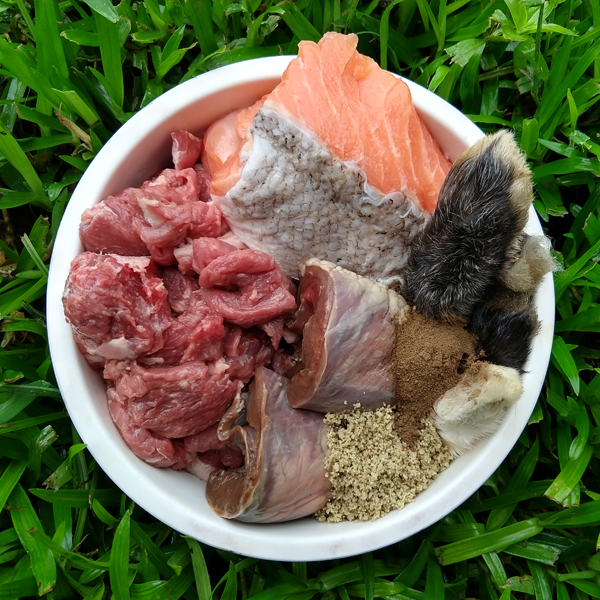 The meal plan service provides you with a transition plan, one NRC balanced recipe, a shopping list, and information on how to feed your pet raw. How many meals are included in the service? One NRC balanced recipe is provided with standard sign up. Additional recipes can be purchased at a discounted rate. How do I receive my pets information? The custom meal plan is an online service. All transition plans, recipes, prepping instructions, shopping list, and notes are emailed directly to you. Is the custom meal plan available outside the US? The service is available worldwide. All service fees are in USD and are created in English. Does the service include raw meat? No, the custom meal plans do not include raw products. Perfectly Rawsome is not a raw food supplier. All ingredients needed to create each recipe must be purchased from local resources, online suppliers, or raw feeding co-ops once the meal plans are completed. A $35 fee is added for each additional dog. The custom meal plan service is $75 plus $35 for each additional recipe. Select answerBeginner: I have never fed raw and I am not sure where to start.Intermediate: I have started the raw transition but I need help.Experienced: My pet is fully transitioned onto raw but I need suggestions for improvement. 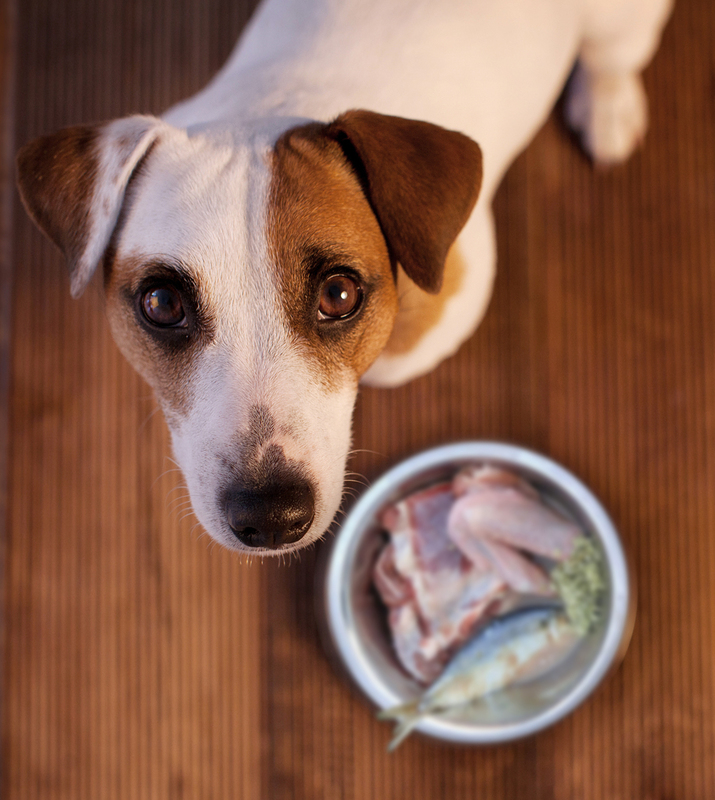 A step by step transition guide is recommended for adult dogs who have not eaten raw meat, bones, and organs. As a puppy grows, more food is needed. The adjustment plan provides a guide to modifying the base recipe to provide more, balanced, food as the puppy grows. Custom Meal Plan will include two balanced recipes. Custom Meal Plan will include three balanced recipes. What brand and formula of dog food is being fed? Please provide how much food is being fed at each meal. What brand of dog food is being fed and how much food is being fed at each meal? Click on the grey plus sign to the right of the input field to add more links. When using the "RFM20PR" coupon code, the custom meal plan will be created using Raw Feeding Miami's products only. This requires an average budget of $3/lb to purchase products from RFM. Perfectly Rawsome will provide custom meal plan services for healthy dogs. Major health conditions are exempt from the meal plan and will result in an automatic refund. Perfectly Rawsome will not create a Custom Meal Plan mixed with commercial dry (kibble) or canned pet food. All meal plans are created with raw muscle meat, raw bones, and raw organs. No exceptions. Perfectly Rawsome will not create a “home cooked” Custom Meal Plan. 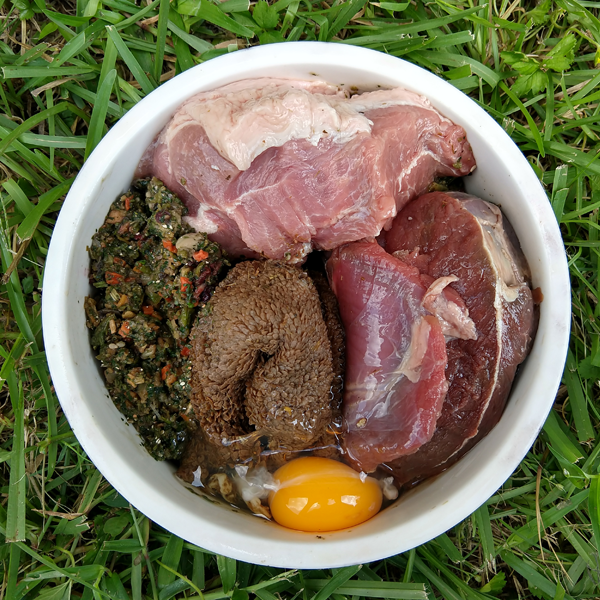 All meal plans created by Perfectly Rawsome is 100% raw muscle meat, raw bones, and raw organs. These meals are not to be cooked in any way. The Custom Meal Plan service is developed with whole foods purchased from local grocery stores, ethnic markets, farmers, hunters, co-ops, etc. Perfectly Rawsome will not utilize premade commercial raw foods when formulating a meal plan for the client’s pet(s). Perfectly Rawsome's Custom Meal Plan service is not a consulting service. Full payment is due upon sign up and Perfectly Rawsome has a 72 hour refund policy. Upon payment the client has 72 hours to cancel services and request a refund. After 72 hours no refund will be issued. The client will complete all homework instructed by Perfectly Rawsome. Homework includes documentation of local resources and pricing when applicable. Failure to complete assigned homework will result in incomplete budget estimates. The client acknowledges Perfectly Rawsome does not control or dictate local resource availability and pricing. Price inflation may require a higher budget to create a raw diet. The client acknowledges the amount of effort put into sourcing ingredients results in cheaper costs. Purchasing grinds/ground meat/mince or utilizing online suppliers results in higher costs which is not controlled or dictated by Perfectly Rawsome. Perfectly Rawsome will not be held responsible for any illness and/or injuries, including death, or property damage caused by any pet who has received a custom meal plan. Perfectly Rawsome reserves the right to terminate Custom Meal Plan services with the client at any time, at the business' discretion, with no refund. The "RFM20PR" promocode is for Custom Meal Plans using Raw Feeding Miami's (RFM) products only. This requires an average budget of $3 per pound to purchase products from RFM, freight shipping fees are not factored into the budget. Additionally, this is only available for continental US residents only.